We import some of the finest quality pieces from all over the world including Iran, Pakistan, India, and China. Cleaning services and appraisals are also offered. 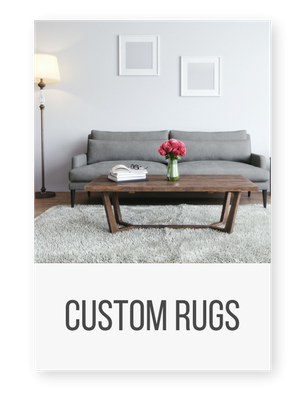 We have custom area rug and wall to wall carpet solutions from Masland and Nourison. Select the style that fits your home design with a custom solution for any room. Your stairs can be a striking focal point of your home's entry. 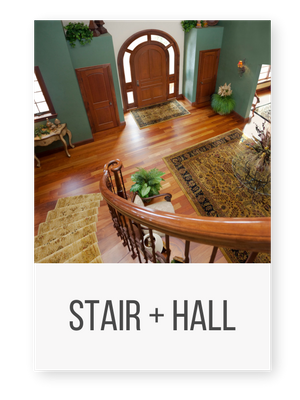 Stair and hall runners require an exceptional level of attention to detail and planning that we provide. Whether this is your first rug or your fifth, we know the process of space planning and selecting area rugs can feel overwhelming. Infinite selections, multiple spaces to be filled, and a host of other considerations fill your mind. 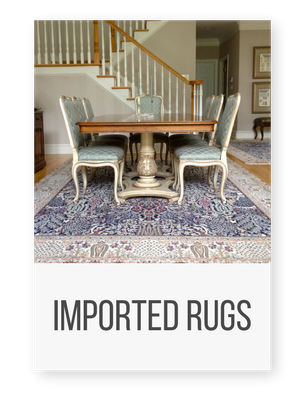 I've been in the business of importing rugs for more than 20 years; my goal is to guide you along the journey and help you build a space that brings you joy for many years to come. We work with a team of designers, manufacturers, and installers who are trusted and meticulous. Begin by browsing the photographs we've gathered from our clients' homes and homes and around the country for inspiration. Then, schedule an appointment and let's talk about what appeals to you and will fill your home for years to come. We've been a part of the exceptional quality and service at Jarrettsville Furniture for more than 20 years.